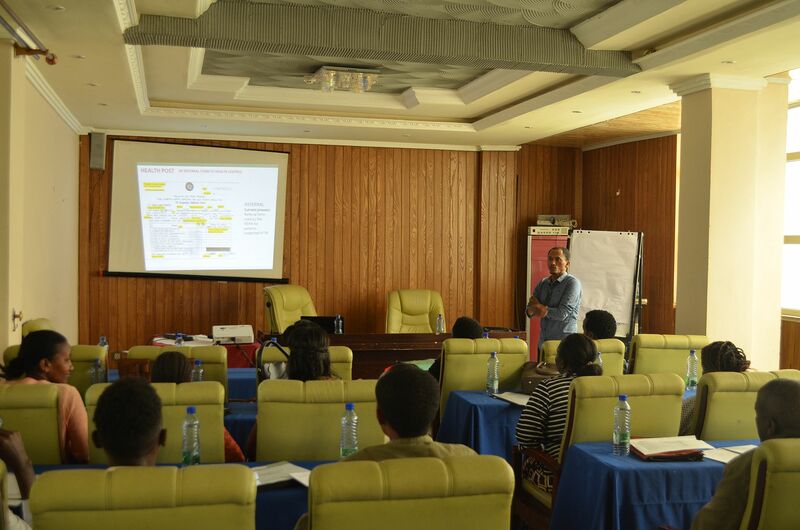 The first stage of a new pilot intervention to detect, manage and record neglected tropical diseases (NTDs) at primary healthcare level in Ethiopia has been completed, resulting in the training of approximately 100 health workers. NTDs are diseases of poverty which disproportionally affect vulnerable and underserved populations. Building the capacity of primary healthcare providers to play a central role in combating those diseases will ensure that health services meet the needs of those living with NTDs and manage the chronic disabilities caused by NTD infection. The study, led by Malaria Consortium in partnership with the Ethiopian Federal Ministry of Health, is being carried out in Hawella Tula, a district located in Ethiopia’s Southern Nations, Nationalities, and Peoples’ Regional State. This area was selected due to the high prevalence of a number of NTDs, including schistosomiasis (intestinal and urogenital), soil-transmitted helminth infections, trachoma, lymphatic filariasis, and podoconiosis. Approximately 100 health workers from the different levels of the primary health care system have been trained, including Health Extension Workers (HEWs), a cadre of trained health workers providing a basic package of care at rural health posts, and Health Development Army volunteers, a network of women tasked with driving health-related behaviour change within their communities. Now the training is complete, health workers will be better equipped to recognise patients suffering from NTDs and can look to provide good quality care. The Health Development Army will assist by detecting community members with signs and symptoms of NTDs and encouraging them to seek care from a health facility. The study involves a range of activities to assess whether the pilot intervention is feasible and acceptable to health workers, patients and communities. Results are expected towards the end of the year. This pilot study is conducted through COMDIS-HSD, a Research Programme Consortium led by the Nuffield Centre for International Health and Development at the University of Leeds. It is funded through UK aid from the UK government.